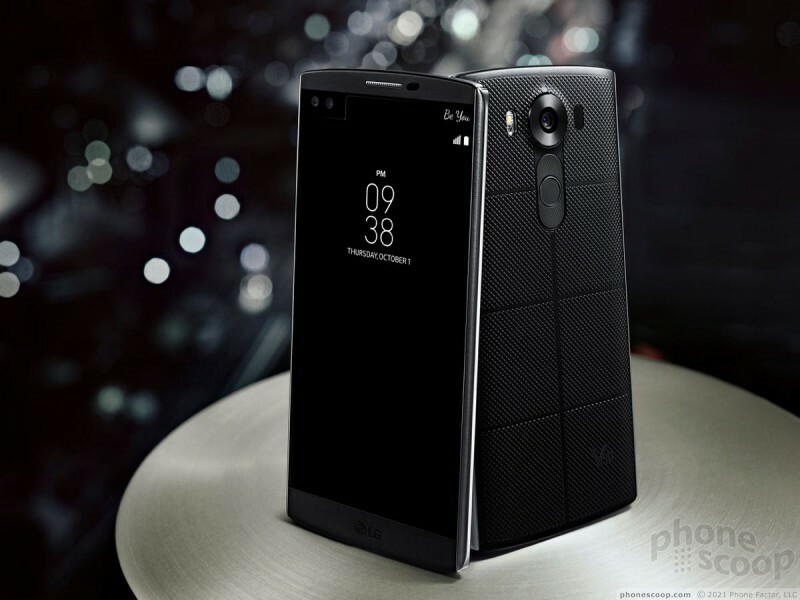 LG announced the V10, a flagship smartphone that includes a ticker display, double cameras, and a more rugged design than some of LG's previous handsets. The main screen measures 5.7 inches and has quad HD resolution, while the secondary display, which sits above the main one, measures 2.1 inches and has 1040 x 160 pixels. LG says the Second Screen can set to be always on for notifications and status indicators with no impact on battery life. Moreover, the Second Screen can handle notifications while users do other tasks, such as watch videos, without disturbing what's on the main screen. The rear-facing camera has optical image stabilization, an f/1.8 aperture, and captures 16-megapixel images. The front of the V10 features dual 5-megapixel cameras that can act together to capture images with a 120-degree field of view with no optical distortion. The V10 includes a manual video mode, which allows users to adjust white balance, exposure, shutter speed, and frame rate. It captures 1080p, 2K, or 4K video in either 16:9 or 21:9 aspect ratios. Other video camera functions include stabilization, audio monitor, video editor, wind noise filter, and quick-sharing features. 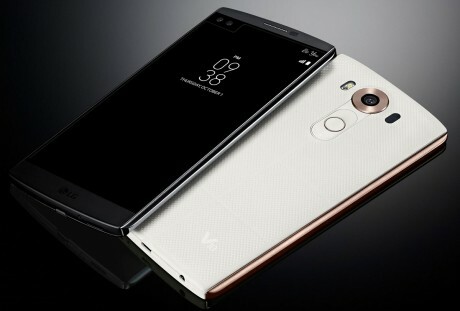 Unlike some of LG's previous phones, the V10 relies on a stainless steel frame with "Dura Skin" on the back to protect against drops and knicks, and aid in grip-ability. The V10 has a 32-bit high-fidelity DAC by ESS Technology for improved audio reproduction. Other features include a Qualcomm Snapdragon 808 processor with 4GB of RAM, 64GB of storage, and support for memory cards up to 2TB. The phone has a 3,000mAh battery that can be removed, and it supports Bluetooth 4.1, 802.11ac, GPS, NGC, and LTE. It runs Android 5.1 Lollipop and comes with the usual set of LG apps, such as Knock Code. 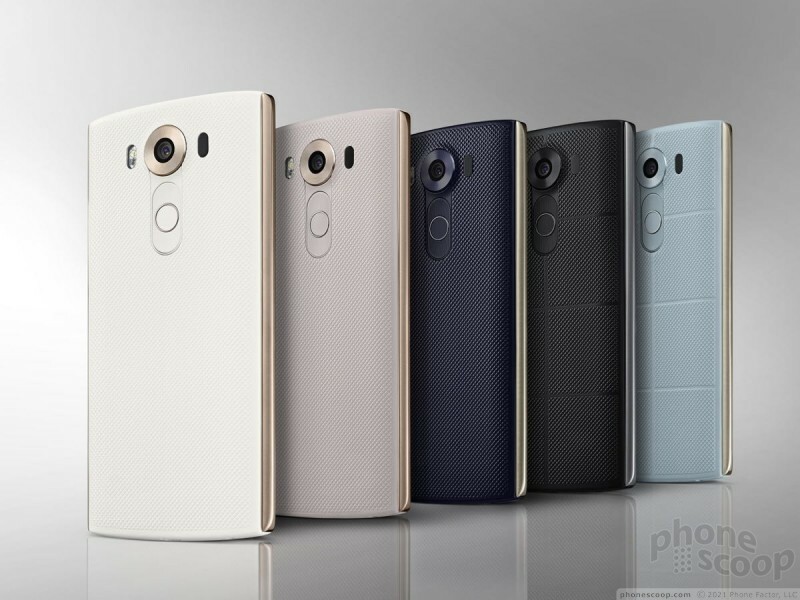 The LG V10 will be sold in black, white, beige, and two shades of blue. It will launch in Korea this month, followed by the U.S. and other countries in the near future. 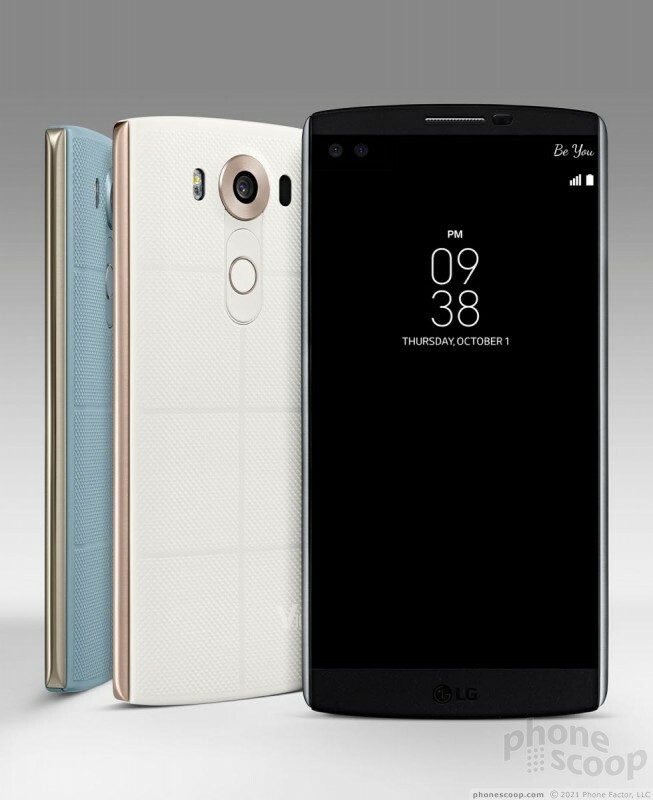 The V10 from LG includes a secondary display and advanced camera features. This massive Android smartphone is a flagship-class device thanks to good specs, solid build quality, and decent all-around performance. 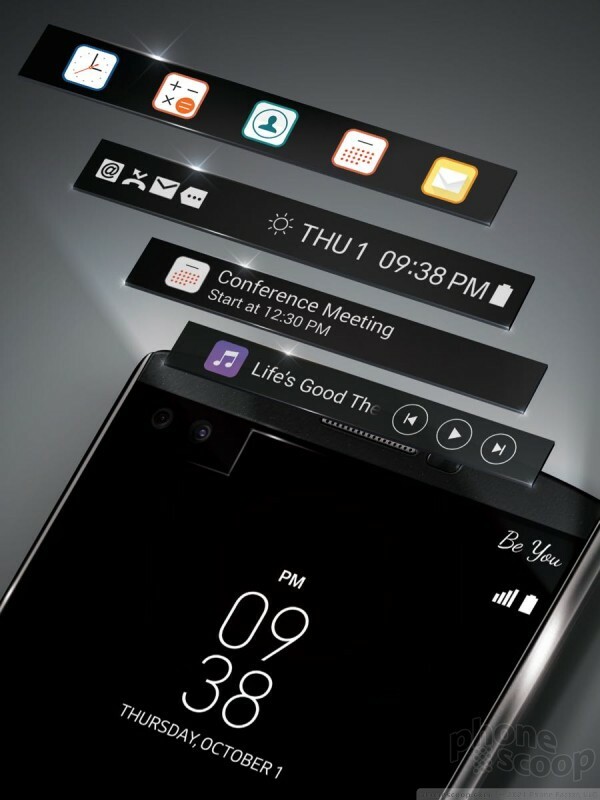 LG's new V10 smartphone offers some unique features, including a secondary screen for shortcuts and notifications, and a pair of user-facing cameras for more fun with selfies. Here are our first impressions of this new phone from LG. 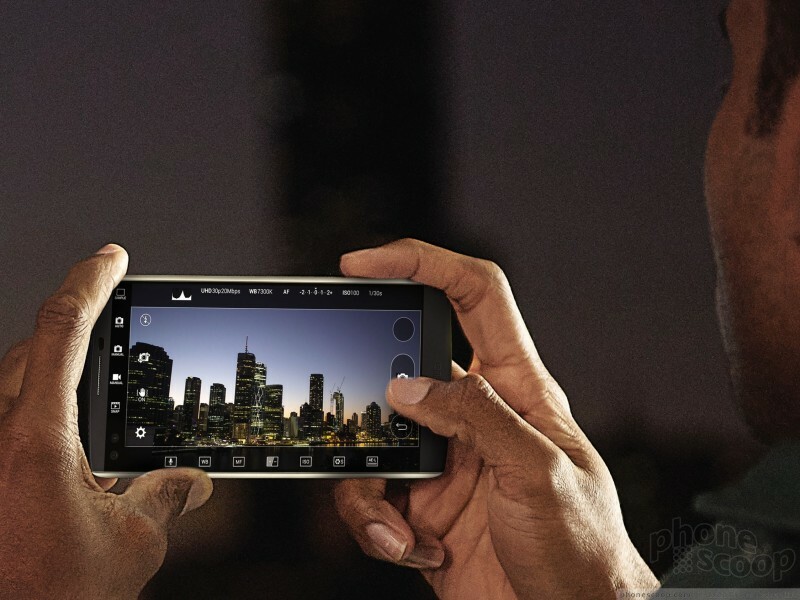 LG today announced the V20 at an event in San Francisco. The handset is a follow-up device to last year's V10.